One cool morning about ten days ago following a night of heavy storms I decided to check some local wetlands for dispersing long-legged waders. Herons and egrets are on the move in mid-summer and I was hoping the overnight storms had grounded a few moving birds. Days during and following unsettled weather are often productive for birders. I stopped first at an extensive wetland behind Pike’s Nursery off Johnston Road. Immediately I saw a white heron hunkered down in the thick, choking vegetation. 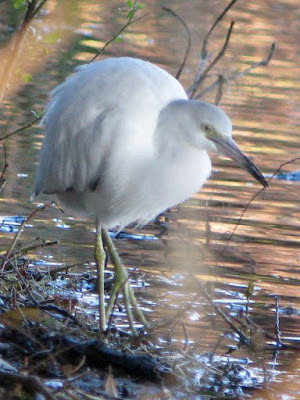 The small size and black-tipped bluish bill quickly identified the bird as an immature little blue heron. Not a rare bird necessarily but a species that may not show up every year here either. A loud high pitched keow caught my attention and I soon saw a green heron perched on a dead tree trunk clearly agitated by a pair of juvenile red-shouldered hawks on another dead tree. That little heron even successfully convinced one hawk to switch perches. Green herons are the smallest waders that we regularly see in the area. I next checked a nice beaver-created wetland off Arrowood Road. Here I found not one but three little blue herons. Like the first they were half hidden by the thick aquatic growth. All three were slowly picking their way along, one slow step at a time. I soon realized they were patiently and successfully foraging for green tree frogs in the plant material. Nearby, an even smaller green heron sat perfectly motionless for over 10 minutes on a log, peering into the water perhaps to catch a minnow or tadpole. That provided a nice study in the contrasting feeding styles of the two species. On to Walker’s Cove along the Catawba River where four great blue herons, two great egrets, and yet another little blue heron were hanging out. Great egrets, by virtue of their large size and longer legs, prefer to feed by standing relatively still in deeper water and waiting for a careless fish or frog to come close. Great blue herons employ a similar strategy. So I considered the morning’s endeavor a success. There weren’t any big surprises or rarities but it is nice to find a total of five little blue herons at three separate locations anytime in Mecklenburg County. I spent the morning last Saturday checking some wetlands along the Catawba River in search of wading birds and shorebirds. At one stop I flushed a mid-sized shorebird from the shoreline that gave a few high-pitched calls and flew away in a distinctive stiff winged flight. 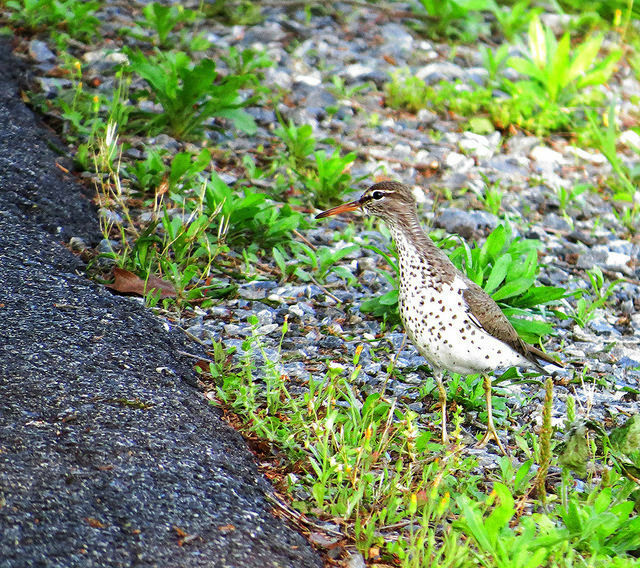 It was a spotted sandpiper, not an uncommon bird at all but a significant find on that day. Though the date was July 16, it signaled the start of fall migration through Mecklenburg County. Spotted sandpipers do not nest here, they are only migrants. It seems shorebirds are always on the move. It was less than 60 days ago that I saw a couple of spotted sandpipers at a local pond. Those birds were still heading north. Many shorebirds have a very short nesting window of time. Their young hatch already able to run and forage for themselves. Once the chicks reach a certain size and age the adults may go ahead and start moving south. The chicks lag behind until they are strong enough to move south too. 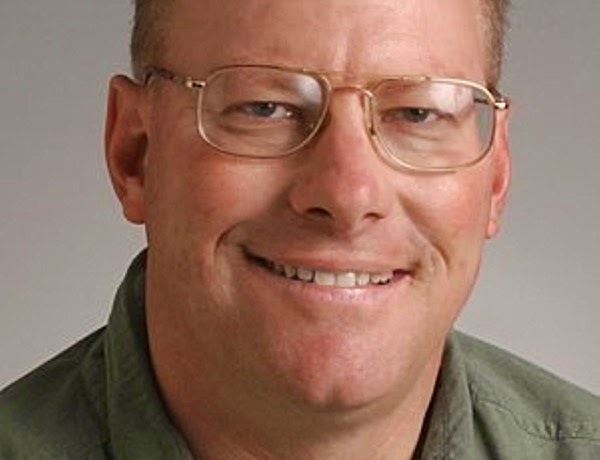 Shorebirding aficionados know the earliest migrants to appear are adults. The juveniles come later. From now until early October it may be possible to find adults and juveniles of many species if good habitat develops. That is always a big IF. More than any other avian group that passes through our area, shorebirds are affected by weather conditions. Shorebirds generally require exposed mudflats or muddy shorelines. Last year excessive drought resulted in low water levels and the resultant great habitat produced a shorebird bonanza along the river. We have had a lot of rain recently and water levels are high. Rainfall amounts over the next month will be critical to determine how good the shorebirding will be in the piedmont this year. The fall migration period lasts much longer than spring. The sense of urgency that migrants have in the spring is absent from the fall journey. The travelers take time to fatten up, moving south only when conditions are conducive to travel. Most July and August days are too hot for this birder to spend in the field. There will be plenty of time to catch the fall migration, but that little spotted sandpiper definitely got me thinking about it. July happenings for our local bird populations include dispersing herons from areas further south or further east where they breed. Two herons are common breeders in Mecklenburg County; the great blue heron and green heron. Yellow-crowned night-herons also nest here but are rare and very local. 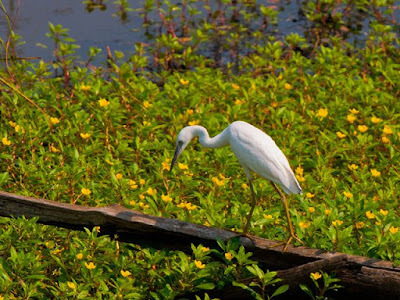 Most often white herons like great egrets, little blue heron immatures, and snowy egrets are noticed but other less common to downright rare species show up. A large dispersing flock of great egrets was seen last weekend at Cowan’s Ford Refuge in Huntersville. Check out neighborhood retention ponds, apartment or park lakes, and any other wetlands for these large and conspicuous birds. If you notice an odd or different wader, try to get a photo and send it to me. It might turn out to be something noteworthy. 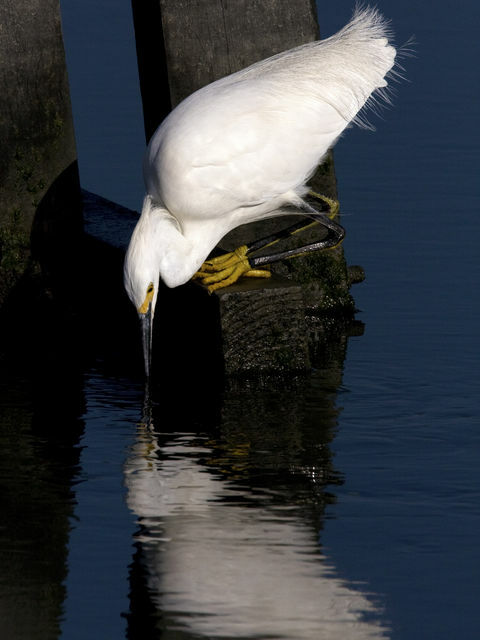 The great egret is the most common and conspicuous. almost as large as a great blue heron, note the long yellow bill in combination with long black legs. 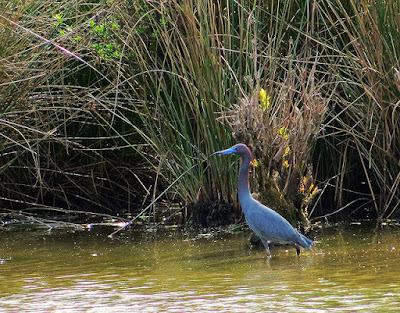 Little blue herons are much smaller, have light-colored greenish legs and a bluish gray upper bill. Only the juveniles are white. The adults are blue and brown. Snowy Egrets are smaller still. Note the black bill and yellow feet. 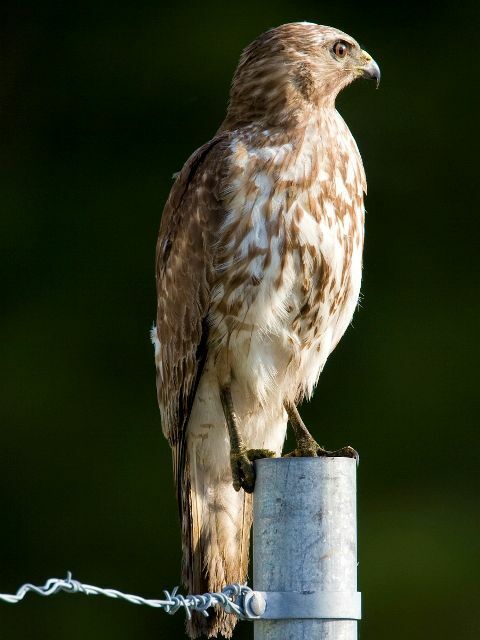 Young Hawks Fledging Now; What Are You Seeing? 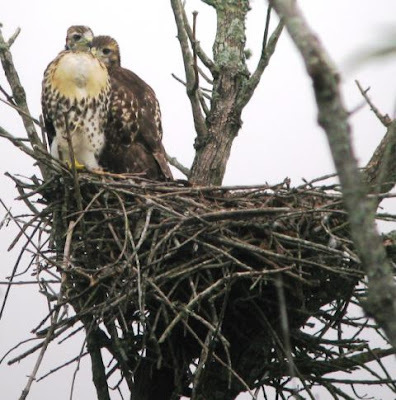 Young hawks of several common local species are fledging right now. Even after they fledge many continue to beg for food from the parents; often loud and incessantly in a shrill high-pitched scream. Many of the young birds, while capable of flight, end up on the ground in residential areas if that is where the nest was. I get lots of photos sent to me. Often there is confusion as to what species they are. Juvenile plumages of our local hawks vary somewhat from that of the adult plumage. 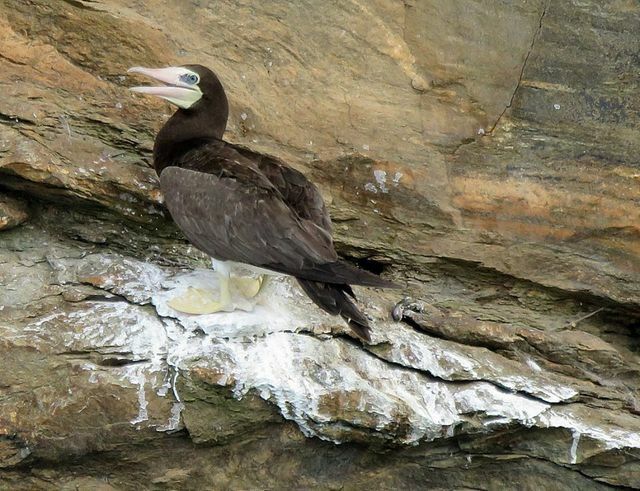 While adults are very attractively marked, the juveniles are mostly brown with more vertical streaking on the chest and belly. 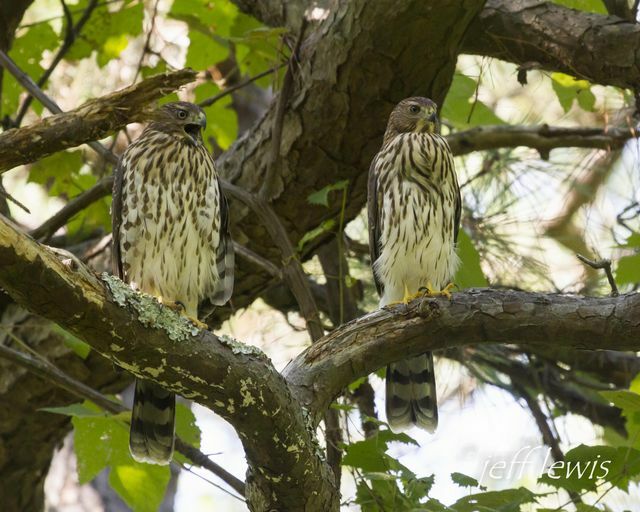 Below are some examples of the adult plumages of three of our most common residential hawks and the corresponding juvenile plumages. 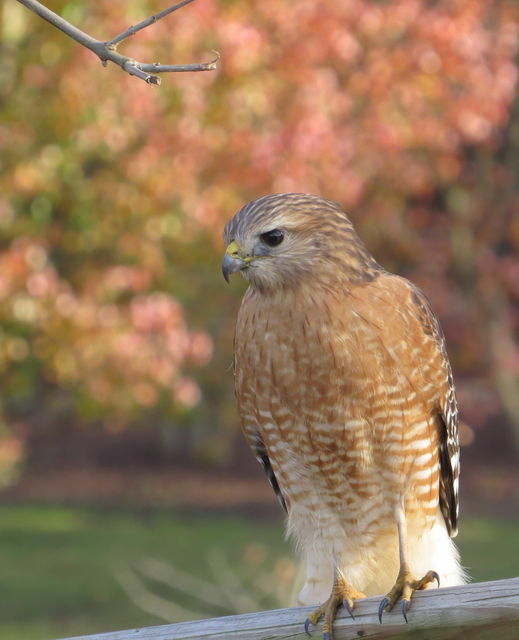 The red-shouldered hawk is the most common and conspicuous residential hawk. The attractive adult is shown below. The red-shouldered juvenile is vertically streaked on the pale breast and is an overall brown color on the top side. 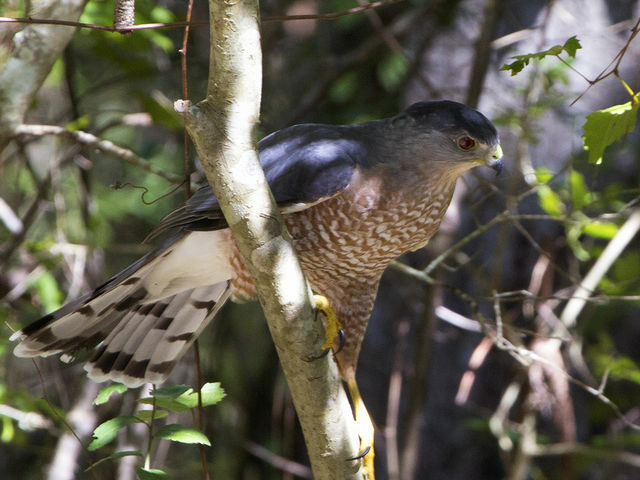 The adult Coopers hawk is somewhat similar to the adult red-shouldered with the rusty breast but has a steel-blue top side. Juvenile Cooper's, like the red-shouldered, are vertically streaked on the breast. the streaks are finer and more defined. 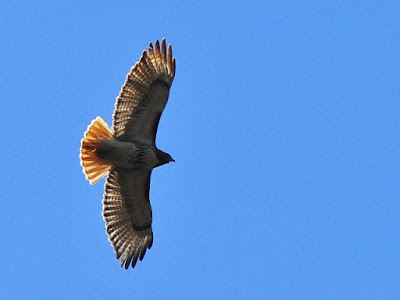 The red-tailed hawk adult is easily distinguished by the bright rufous tail, even in flight from below. Adult Red-tailed Hawk by Phil Fowler. The juveniles lack the rufous tail, and can be separated from the other two species by the unmarked white upper chest with a variable belly band underneath. Juvenile Red-tailed Hawks by Phil Fowler. Hummingbird Shortage? I Think Not. I have been getting a lot of questions from concerned backyard birders about a perceived shortage of hummingbirds right now. The concern is that most of the folks have been enjoying good numbers of birds in past years but not this year. Don't worry, there is no decline or crash in the ruby-throated hummingbird population, either locally or nationally. I suspect those I am hearing from are remembering when seemingly dozens of birds were fighting over the feeders and providing entertaining aerial and chase sequences. You can expect the same thing in just a few weeks. 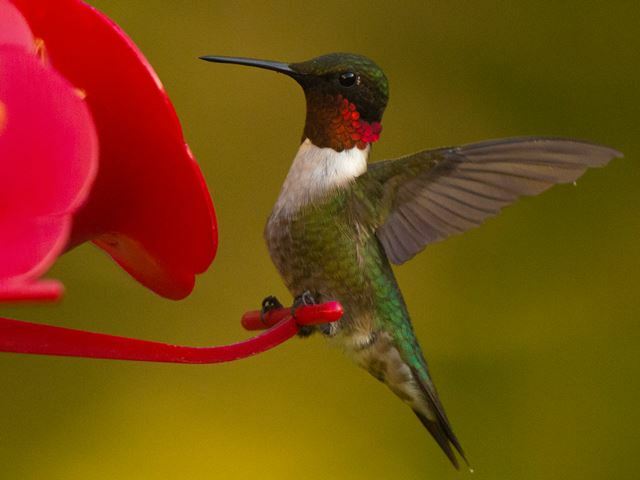 Remember hummingbirds are territorial and will not tolerate intruders during the nesting season. Feeders may get periodic visits from a pair of birds if it is located in their territory but the constant activity of August and September will have to wait. By late July nesting is pretty much over and the business of fattening up for the fall journey begins in earnest. Young and mature birds disperse and start to inundate feeders, providing non-stop activity. Nectar and sugar water becomes the major food source for fat gain instead of the protein dominated diet of the previous months. So be patient and keep the feeders fresh and stocked, I can virtually guarantee it won't be too long before the feeders will be a-buzz with action. I have written about rarities that are attracted to large inland reservoirs but I never thought I would be writing about this one; a brown booby has appeared at Lookout Shoals Lake on the Catawba County / Iredell County line, specifically at the Sharon Boat Access area. I have seen the species only twice in North Carolina; both times at the coast. Boobies are a family of mostly tropical, heavy bodied plunge-divers. They are found over the open ocean where they dive head-first for fish in tropical waters or along the warm Gulf Stream. Occasionally an individual of one of the several species will show up on a southeastern beach, jetty, or buoy marker. The occurrence of this species between Charlotte and Hickory is absolutely astounding This bird has taken up on a favorite perch on a rock outcrop where it has been seen by many birders over the last week and a half. It seems content, and can be seen plunge-diving for fish in the larger portions of the lake. 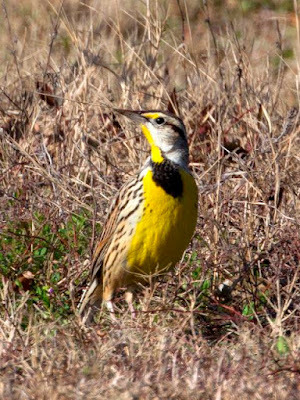 Why this bird arrived in the North Carolina Piedmont is a mystery. Boobies are known to wander well north of the tropics but rarely inland. Maybe this is just a wandering bird, or perhaps it was influenced by the recent Tropical Storm that came in near Charleston. The true answer will not be known. And it is unknown when this bird will decide to move on, which it inevitably will. for now though, it seems entirely content to stay put. Regardless, this is one of the rarest birds to ever be found in our area. large rock face that is most visible. Last Sunday I surveyed a breeding bird route from Camp Stewart Road in eastern Mecklenburg County through Cabarrus County, ending up at the Stanly County line. 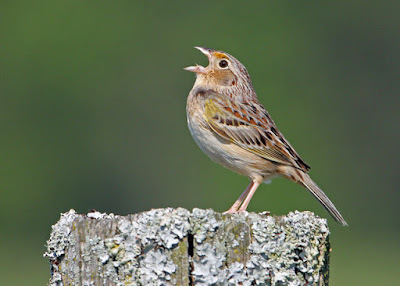 The North American Breeding Bird Survey is administered by the USGS (United States Geological Survey) and depends on volunteer support each year to gather the needed data. Data can then be analyzed to assess changes in bird populations with respect to habitat change, habitat loss, development, and changes in land use. The survey consists of computer generated routes chosen at random. Each route is 25 miles in length, with a stop every half mile. Volunteer counters record every species and number of individuals for a period of three minutes at each stop. The same route is run every year, ideally by the same volunteer. The particular route I checked has the majority of stops in rolling farmland and rural state roads. A few stops are at bridges where thick deciduous forest lines the creeks. Species typical of open country and regenerating clearcuts were then the most prevalent. Killdeer, Eastern kingbirds, indigo buntings, blue grosbeaks, Eastern meadowlarks, orchard orioles, yellow-breasted chats, common yellowthroats, chipping sparrows, and field sparrows were well represented. I was particularly glad to find grasshopper sparrows, a declining species, at multiple stops. At the bridges summer tanagers, red-eyed vireos, and great crested flycatchers ruled. This particular route has been sampled for years, so it is pretty rare to add a species that has never been recorded on it. This year I was able to add four new birds: wild turkey, hairy woodpecker, Acadian flycatcher, and prairie warbler. The turkey is reflective of a boom in that species’ population while the prairie warblers were in regenerating clear cuts. That is an example of how habitat is created for certain species. The hairy woodpecker and Acadian flycatcher likely had been just missed in past years. Remember each stop is only for three minutes. If the bird doesn’t chirp or fly into view it will go missing. And I missed some species that are regularly seen most years too. Still, I ended up with 62 species for the morning effort. For more information on the N.A. Breeding Bird Survey go to www.pwrc.usgs.gov/bbs/. 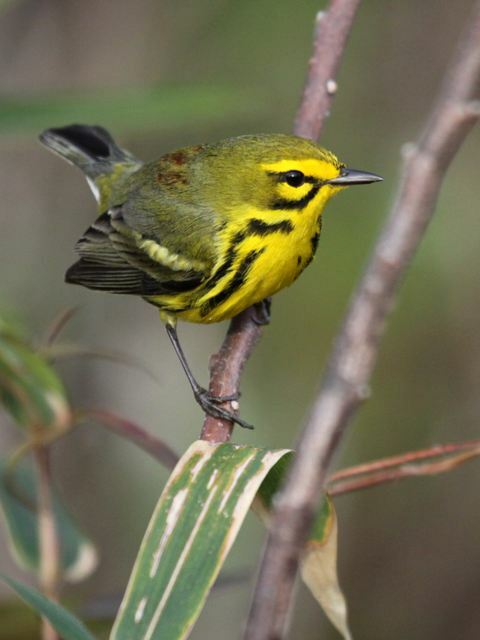 Prairie warblers need regenerating clear cuts in the piedmont for suitable nesting habitat. Long ago this habitat type was provided by periodic fires. Now, human clear-cutting provides it. The birds can only use it for a relatively short period years until the growth becomes too tall and thick. Large power-line cuts where the growth is controlled now gives more permanent habitat to the species. 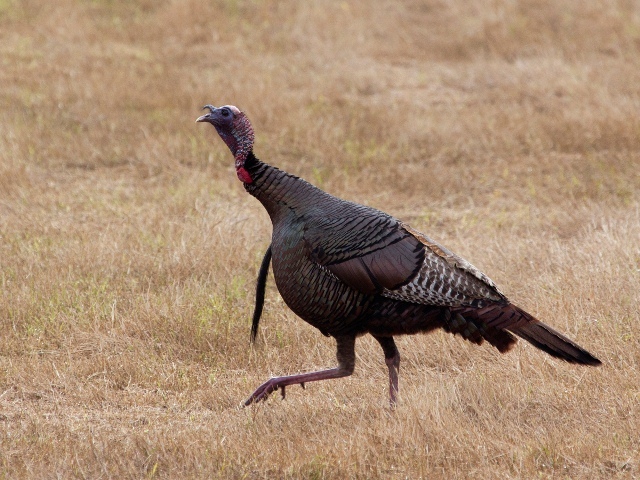 Turkeys have exploded all over in the past couple of decades. They can be seen well within the city limits of large cities like Charlotte now.